Kabana was founded by Stavros Eleftheriou in 1975. Housed in what was once an old Mission Church in Albuquerque, New Mexico, this historic building is now home to the skilled goldsmiths and craftspeople that make Kabana’s distinctive Collections. 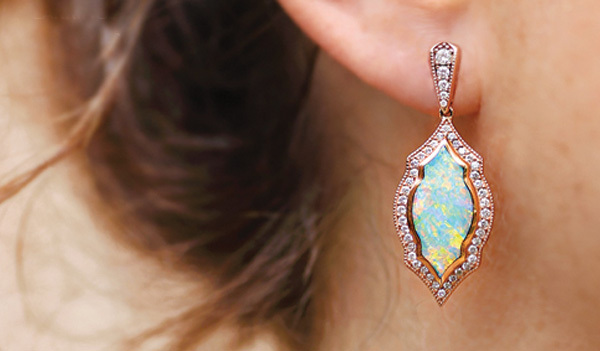 Kabana, renowned and undisputed Master of Inlay, is one of the few jewelry manufacturing companies in the United States that does not outsource any portion of our product. From the drawing table to finish, each piece is produced entirely in the United States. Our innovative design team creates pieces of exquisite beauty. Our artisans not only utilize the traditional methods of inlay but also take it to new heights of expertise. It is the combination of contemporary design, time-honored methods and our state of the art production facility that results in Kabana’s Collections.